We purchase local sustainable products and prepare field to fork as much as possible. We cook nearly everything from scratch and fresh daily. If you have any dietary concerns or have menu questions please let us know. 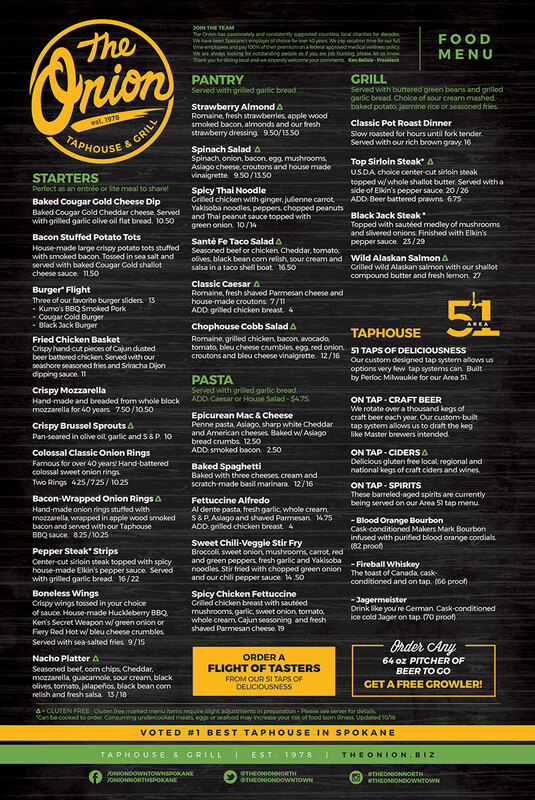 We have a Happy Hour Monday-Friday, Award Winning Kids Menu, and Gluten Free Options. 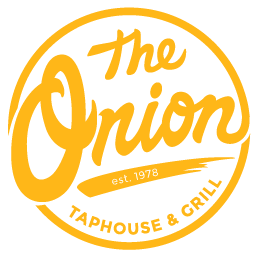 Warmest Regards ~ The Onion Chefs! 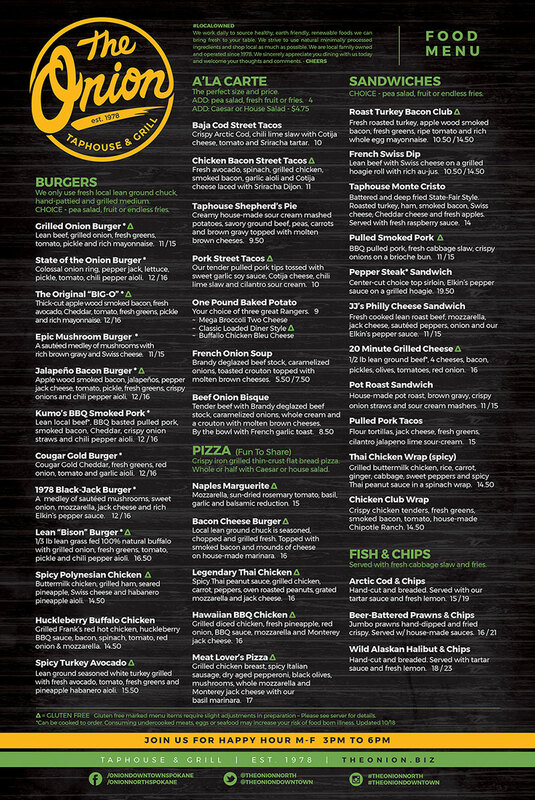 Download our menu and order it to go or take a sneak peak before coming in. Specials and drink selections may vary by location.